+ 4 = 10 Required Please enter the correct value. The Dow Jones Industrial Average projected a 193-point decline in pre-market hours as earnings season kicked off today. Citigroup Inc. (NYSE: C) began the festivities with a dismal report, pushing the financial sector into the red. In addition, investors remain concerned about an economic slowdown in China. Over the weekend, Chinese exports reported a record drop of 4.4% over the last year – the largest drop since 2017. On Monday, the government shutdown entered its fourth week without any end in sight. U.S. President Donald Trump continues to demand that Congress fund a border wall between the United States and Mexico. Negotiations remain stalled – no talks are scheduled for this week between the White House and members of Congress. Roughly 800,000 federal workers missed their first paycheck on Friday due to the shutdown, and federal unions have sued the government for forcing employees to work without pay. In Miami, officials shut a terminal at a local airport after too many unpaid TSA officers called out sick. Trump has said he will sign a bill and guarantee back pay once the government reopens. 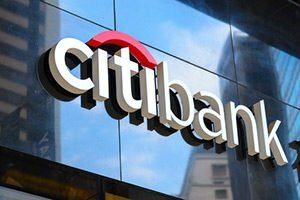 Citigroup Inc. (NYSE: C) reported fourth-quarter results before the bell and was the first of many big banks to report earnings this week. Wall Street expected the company would report earnings per share of $1.55 on top of $17.6 billion, according to FactSet Research. Instead, the firm reported EPS of $1.61, but revenue of just $17.1 billion. Shares were off nearly 0.5%. The firm blamed weaker-than-expected bond trading revenue. Citi shareholders are looking for the firm to rebound after a tough year. Shares fell by 30% in 2018, with more than 19% of that decline coming in December alone. Passive investing had become quite popular over the last decade. But now more people are pulling away from actively managed funds and just taking what they can get out of index funds and other passive investments without thinking about the potential consequences. December's sharp downturn for ETFs and passive funds was a warning. Make no mistake, too many investors are taking their financial future out of their own hands and putting control in the hands of unaccountable technology and people who'd rather be on the golf course. Instead of owning ETFs, investors should be turning their attention to a few other funds that can generate big returns and reduce market risk. 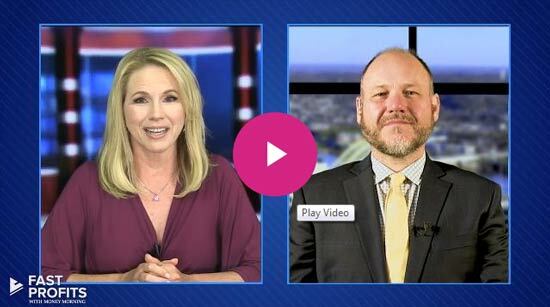 Money Morning Special Situation Strategist Tim Melvin has his top pick for you. Here's what you need to know. Shares of Pacific Gas & Electric Corp. (NYSE: PCG) are falling after the stock received yet another downgrade from Moody's and news that its CEO Geisha Williams is stepping down from her role as bankruptcy speculation swirls. The company said it plans to voluntarily file for bankruptcy this month. Shares plunged another 43.8% in pre-market hours. Goldman Sachs Group Inc. (NYSE: GS) will report earnings this week, but the iconic investment bank is already sounding the alarms over its coming report. The firm said that 2019 earnings growth may dip as low as 3% as a multitude of headwinds pummel the financial sector. Among the concerns laid out by Goldman, economic growth is slowing, oil prices are falling, and the U.S. dollar continues to grow stronger in the face of rising geopolitical tensions around the world. The report comes as the firm announced plans to launch operations in the cash management business. The company will pay global corporations more for their cash deposits to build its corporate client base. Shares of Royal Caribbean Cruises Ltd. (NYSE: RCL) are under pressure after another ship experienced a gastroenteritis outbreak. The company announced it will be providing full refunds to the passengers of the Western Caribbean trip on the Oasis of the Seas. According to reports, the illness hit 277 guests by Friday and has since grown to roughly 500 people over the weekend. Look for earnings reports from L-3 Technologies Inc. (NYSE: LLL), Shaw Communications Inc. (NYSE: SJR), and Limoneira Co. (NASDAQ: LMNR).